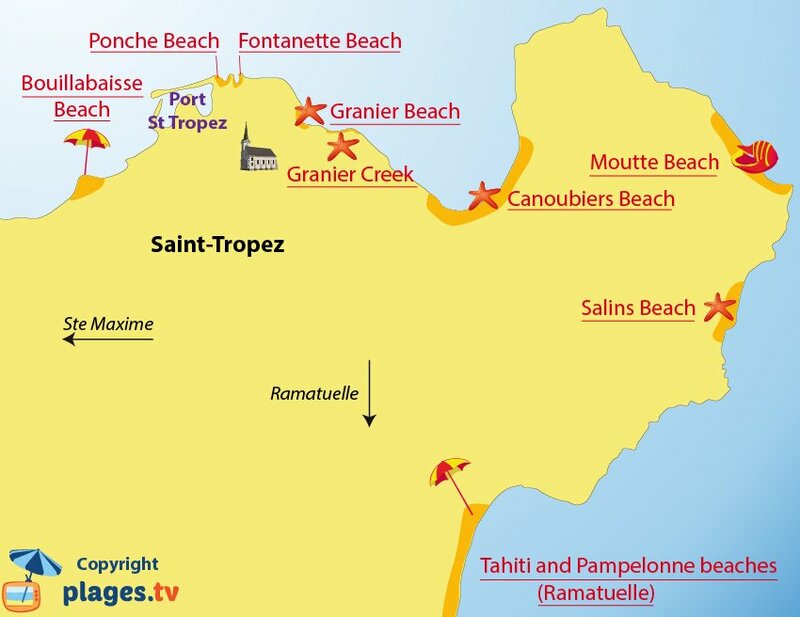 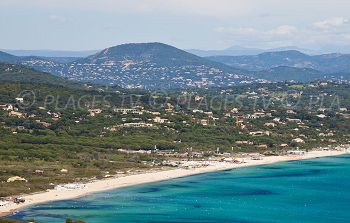 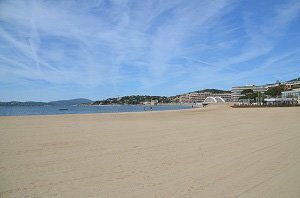 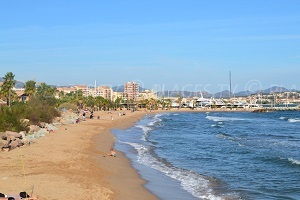 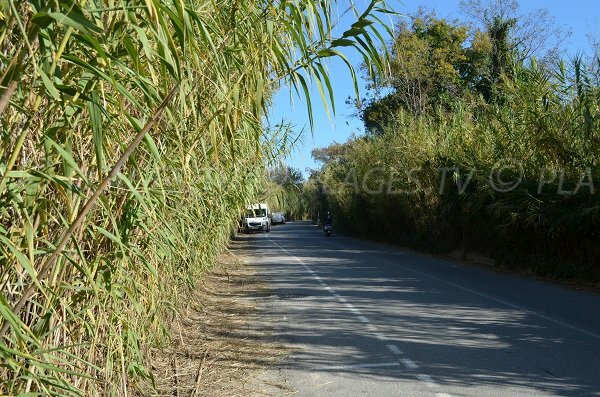 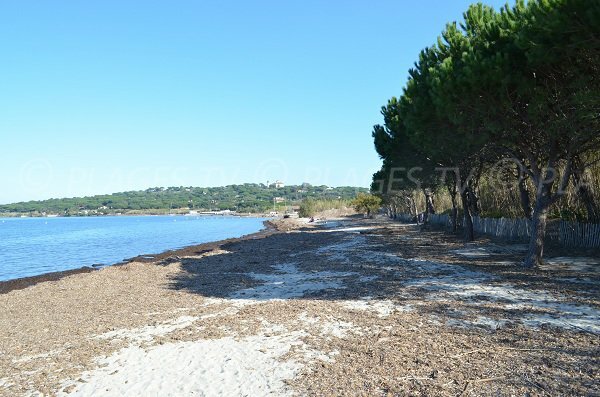 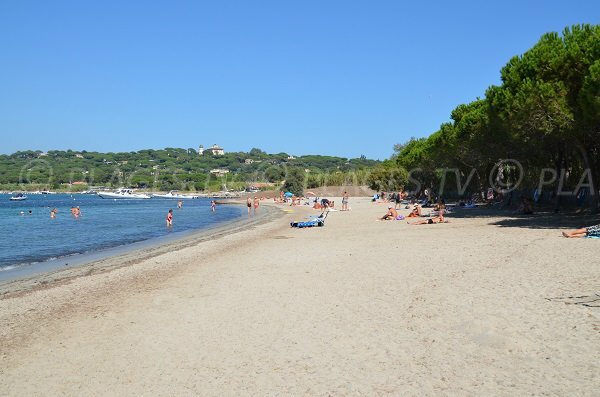 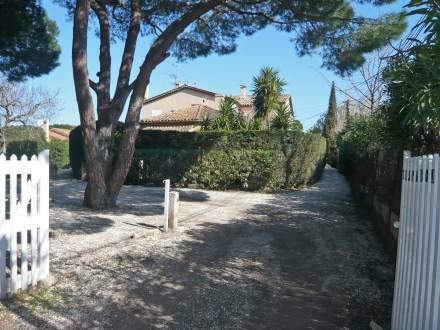 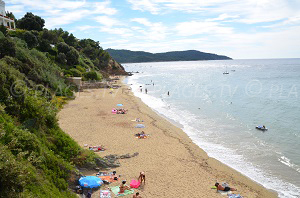 The Canoubiers (or Canebiers) Beach is situated 4 km from downtown Saint-Tropez on the road des Salins. 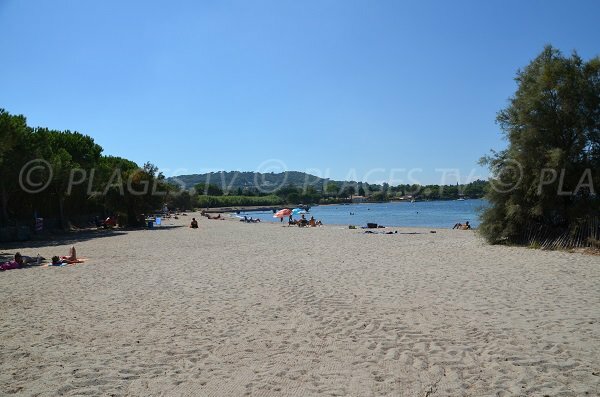 This sand beach stretches out 200 meters and is the preferred beach of the habitants of the city because of its simple access (free parking all along the road behind the beach) and it offers shady areas beneath the pines. 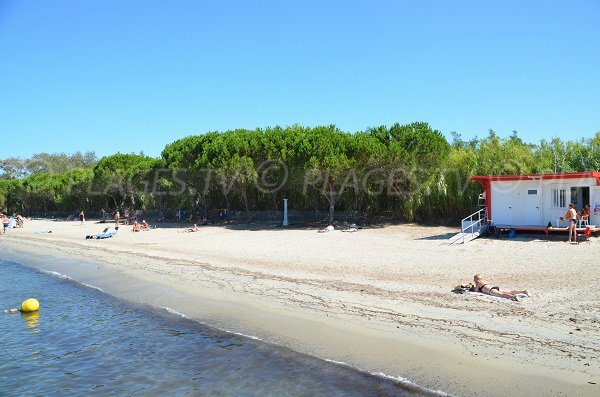 Even more, during the summer season there is a lifeguard on duty. 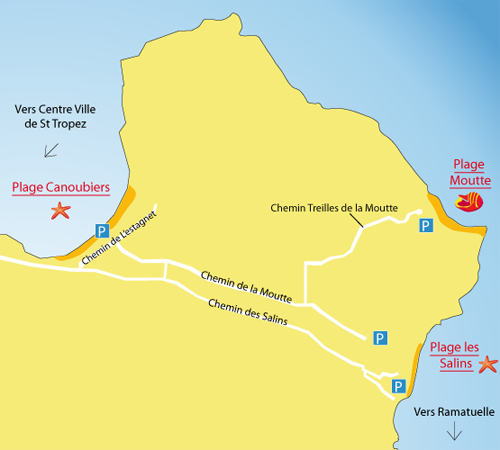 A sailing center is available (at the end of the chemin des Canoubiers). 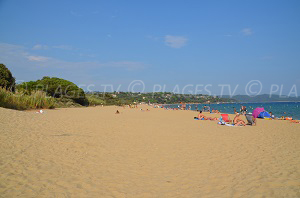 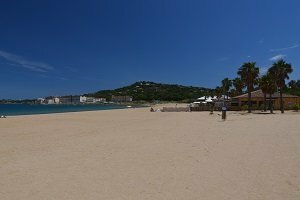 Note that this beach was celebrated by the French television series “Sous le Soleil” (Under the Sun) with its bar le Saint-Tropez located on this beach (which doesn't actually exist – it was only used on set). 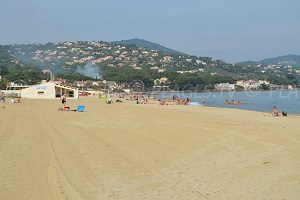 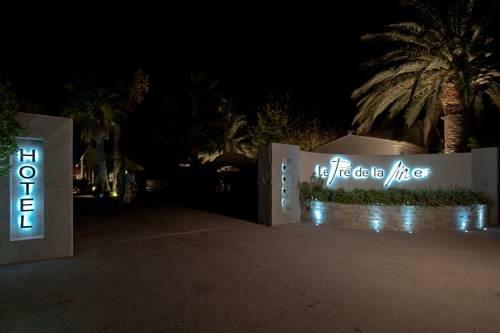 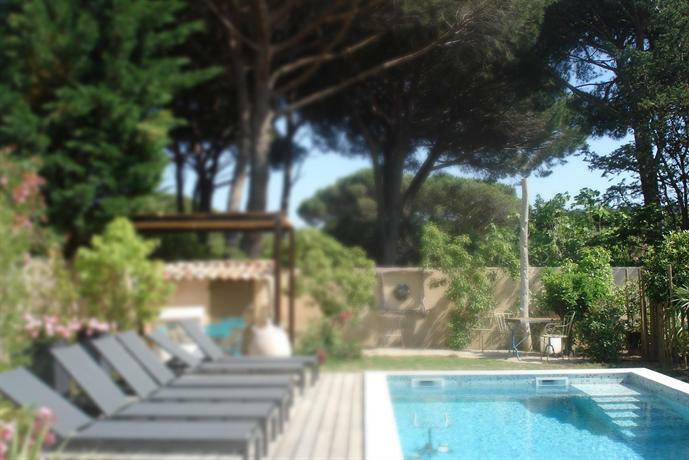 We are right in the middle of the Canoubiers Beach of Saint-Tropez. 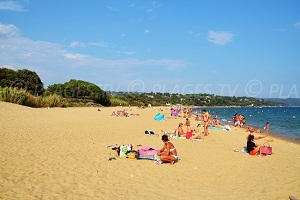 All along the beach there are pine trees which give shade during the summer. 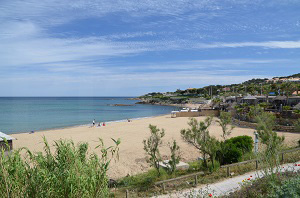 In the summer, this beach is equipped with a first-aid post.